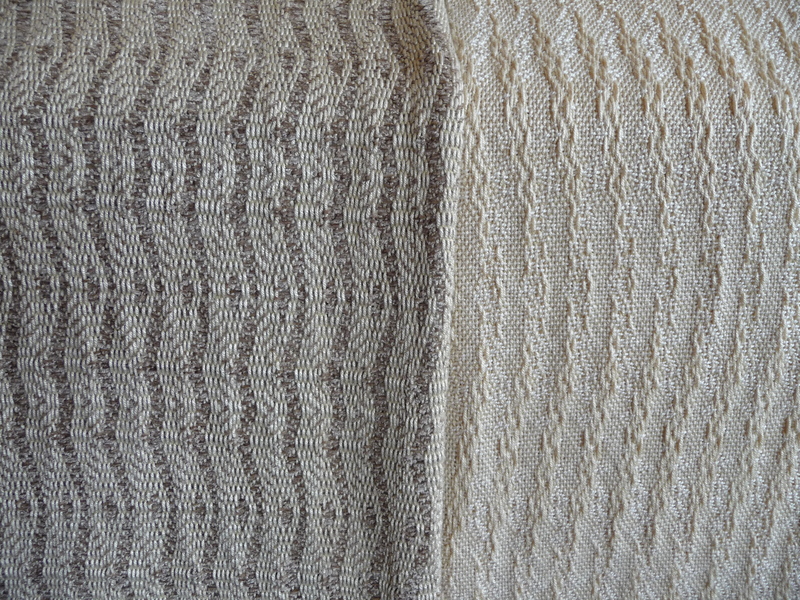 These are the second and third shawls of the Creme Brulee series; the first one (a commission piece) was sent off last week to its new owner who is exceedingly pleased with it. Of these two, I much prefer the one on the left (#2) — it’s rustic yet elegant, and gives the impression of being pleated even though it’s not. The other is quiet and serene, quite low-key. 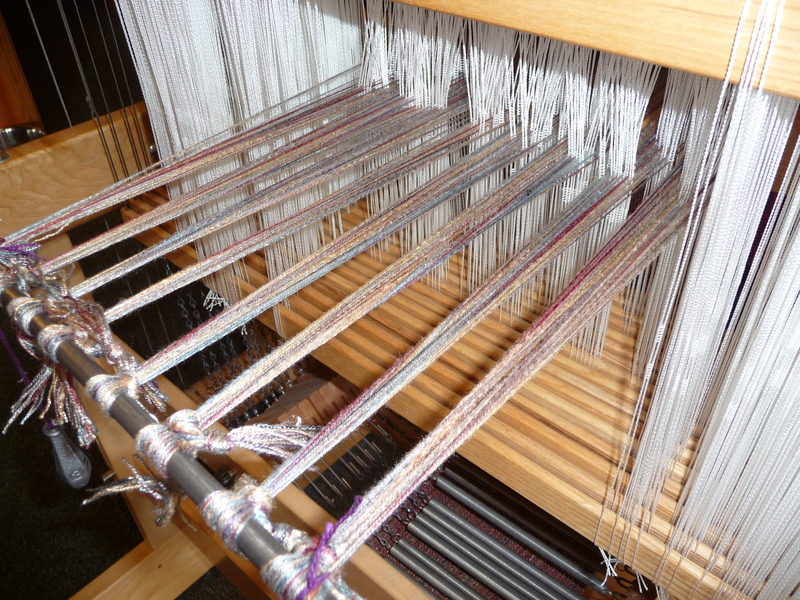 And here we are at the very end of the Precious Metals warp, with only about twelve inches left behind the heddles (those white vertical items the threads pass through), which means I calculated the warp length closely and have little waste. That’s considered A Very Good Thing in the land of the weavers. 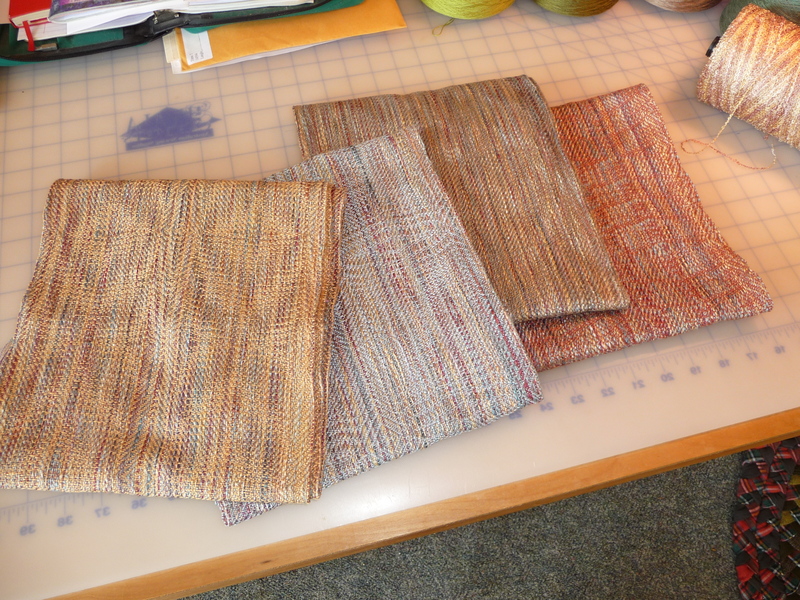 I finished the weaving yesterday afternoon, and did the final beaded hemstitching today before lunch. And here they are, numbered one to four, left to right. Gold, silver, taupe (mud? ), adobe (different mud?). Fancy patterrns, lots of shimmer. 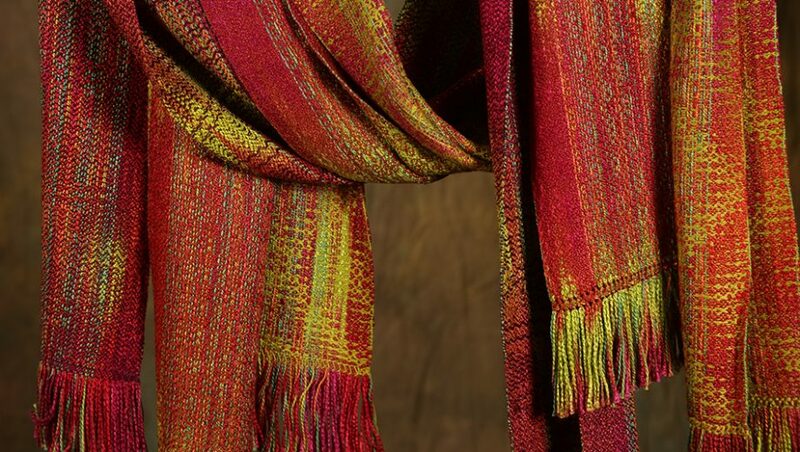 The first two are woven with tencel, the second two with bamboo. I’ll take them home over the weekend and wash them, then bring them back to the studio on Monday for a good hard pressing and general detailing (trimming fringes, pricing and tagging). Then they’ll be hung on the display racks to await their fate. Yum, they look good enough to eat.